Your child likes to keep moving, and you can use this to your advantage. The "Which is Faster?" 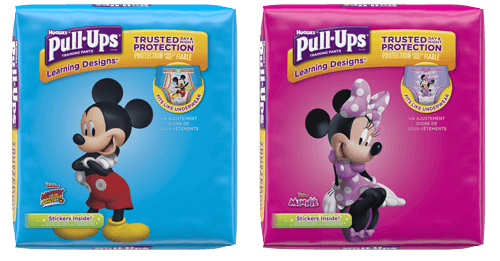 game allows your child to see that wearing Pull-Ups® can help him to get on to whatever’s next after going to the bathroom.